Well, there are some mysteries in the world that will never be solved. Who was Jack the Ripper? Why did he stop killing? What is corn syrup really made of? Who killed Jon Bennet Ramsey? What comes after the universe? Who was DB Cooper? And, what happened to all that cash? 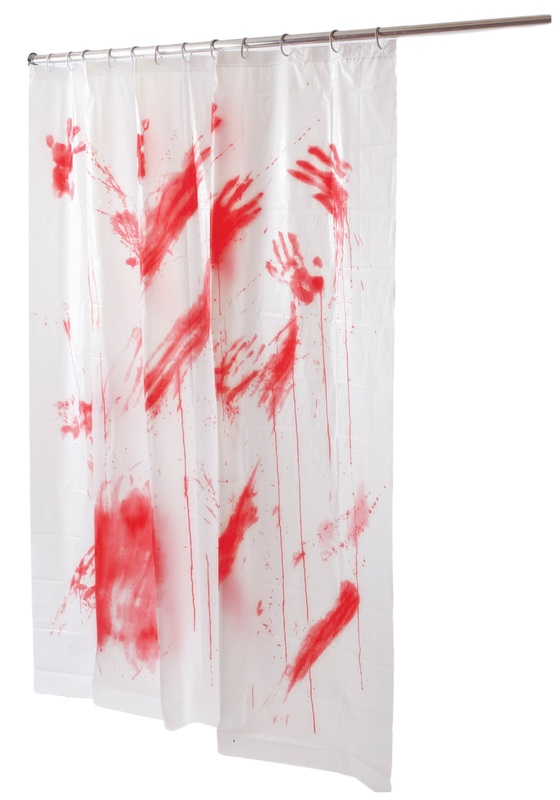 While we may never know somethings, your friends and family are sure to get answers after they see this Splattered Bloody Shower Curtain hanging in your bathroom. They are going to demand what happened. Who did you murder? What did you do with the body? Are they going to have to be your alibi, because they are really, really, bad at lying. Plus, they don't have time for a murder trial...if you get caught that is. Who knows you may be the answer to one of the next biggest mysteries!